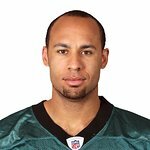 Former NFL stars Hank Baskett and Chris Draft are joining hundreds of lung cancer supporters at the 8th Annual “Lung Cancer: Drive It Off the Earth” Golf Tournament hosted by the Bonnie J. Addario Lung Cancer Foundation (LCF). The LCF invites you to be part of this event and help surpass last year’s fundraising goals. The tournament will take place on Monday, June 10, 2013 at Green Hills Country Club in Millbrae, Calif. Whether on the football field, the golf course or in real life, Baskett and Draft are fighting to raise funds for research and are setting good examples for lung cancer patients in all stages. Golfers and supporters are encouraged to join them on the private, Dr. Alister MacKenzie-designed championship 18-hole course. They will also enjoy a fabulous day of blackjack, margaritas, putting contests, prizes, raffles, auctions and an amazing homemade BBQ buffet dinner. •	Every day 450 more die, 19 every hour and one every three minutes will die in the US and 1.4 million worldwide every year. •	It is the leading cancer killer in every ethnic group, and since 1987 lung cancer has killed more women every year than breast cancer. •	Yet the five-year survival rate for lung cancer is only 15.7 percent, and it has remained unchanged for more than 40 years. •	This staggering loss of life has gone unnoticed too long, and the Bonnie J. Addario Lung Cancer Foundation is on a mission to change that. •	The LCF funds clinical research that leads to life-saving discoveries and treatments and provides critical support services and educational programs to empower patients, power progress and create hope.